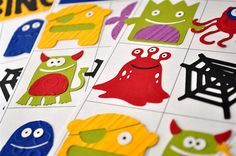 The Cricut Mini Monsters cartridge is full of Halloween cutouts. There are plenty of creepy looking creatures, along with ghosts, spiders, pumpkins, witches, black cats, toads, graveyard stones, and spiderwebs. 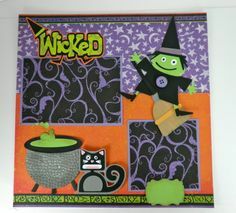 Use this cart to make die cuts for your Halloween scrapbook layouts, invitations, and decorations. The creative features on this cart include two layering buttons, a card feature, phrase and phrase shadow features, and a base shadow feature. 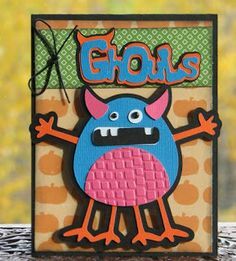 The title feature is great for making titles for your scrapbook layouts, and the card feature is a perfect for making invites to any ghoulish activities you have planned during the month of October. This Cricut Halloween cartridge can also make a variety of fun three dimensional bags. Use these bags to decorate your home, a festive way to welcome all the trick or treaters who visit you on Halloween night. 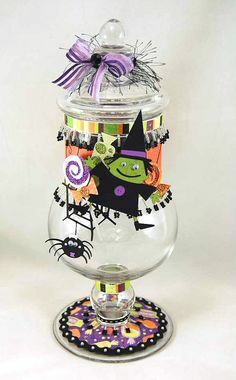 They can also be filled with candy and other goodies and given as presents to your favorite ghouls.